Anthony: A Skeptical Father Believes! “I first discovered him in 2012, and for the past five years, I have been trying to persuade his family to let him come for treatment. Recently, they finally accepted,” shared local CURE advocate, Ivor. 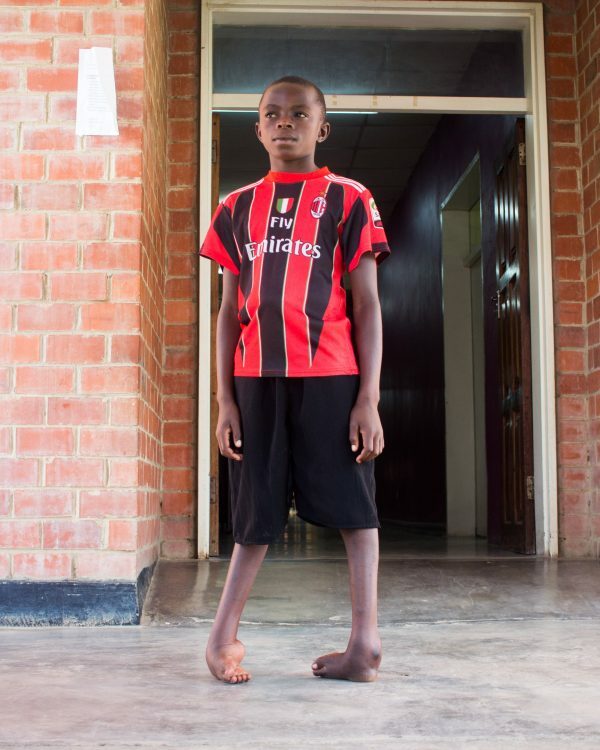 Obert came to CURE Zambia earlier this year with severe bilateral clubfoot on both his legs. Traditionally, a parent accompanies their child, but Obert arrived with his young sister. Brought by local advocate Ivor, Obert came with other kids from the same area. 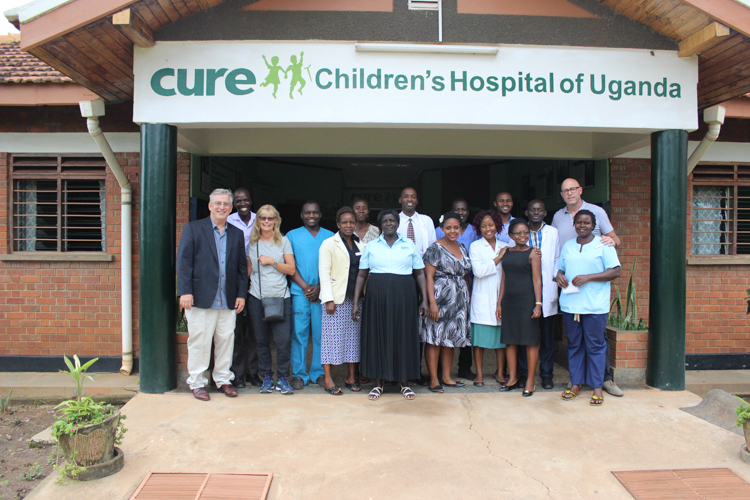 Ivor identifies kids with disabilities to bring to CURE Zambia for treatment. I asked Ivor why Obert’s parents did not accompany their son, and he shared with me a shocking revelation: he has been pursuing Obert for five long years, trying to convince his parents to bring their son to CURE Zambia, but Obert’s father was skeptical of treatment. 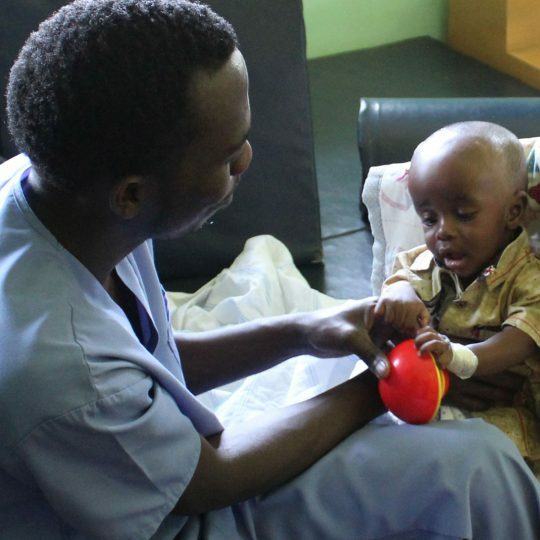 Obert came to CURE with severe bilateral clubfoot. 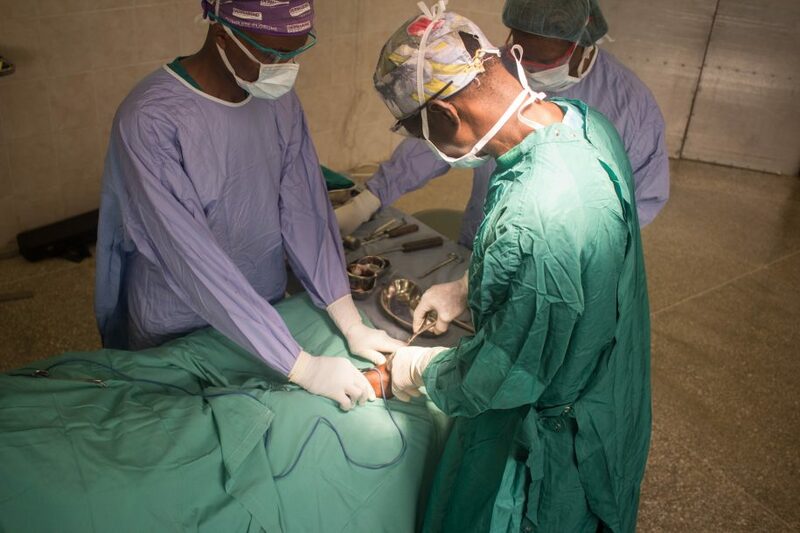 Obert was operated on by Dr. Moyo, and stayed in the hospital for five weeks for observation (which included a couple of dressing changes of the cast). Four weeks after discharge, Obert came back for his follow-up review, and brought along a surprise visitor. I instantly guessed the visitor was related to him because of their close resemblance. I was right; it was Anthony, Obert’s father! 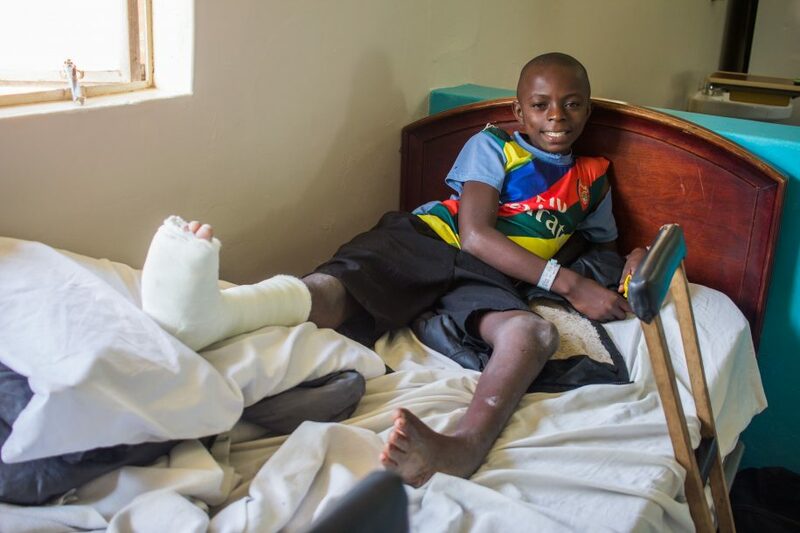 Obert’s clubfoot proved a mystery to his family, tormenting both them and Obert. 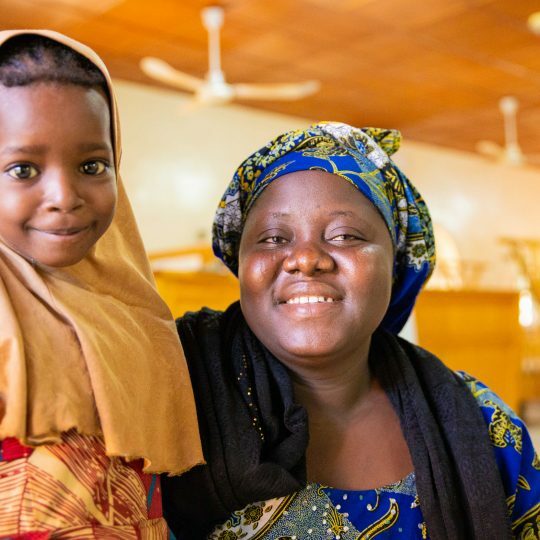 His disability engulfed his parents with worry and sadness; this was the first time clubfoot had ever appeared within their family, and it made Obert different from others. Obert has had great difficulty fitting into society. His strange appearance and the nature of his disability attracts stigma, mockery, segregation, and laughter from his peers. Obert has a burning desire to learn, but sadly his disability is an obstacle because of the long distance to the nearest school. He cannot walk that far. “He is not free even when he is playing with his friends. He would act as though he is guilty of something always. This child cries for school, but he is unable to go because of his condition, and the nearest school is far from home. He is also not capable of doing the house chores that boys of his age do,” shares Anthony. 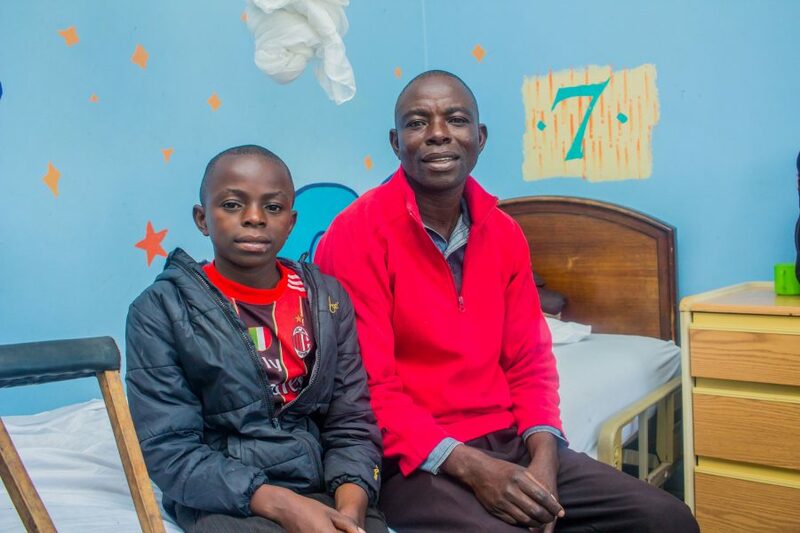 Thankfully, Obert’s story is changing, and the change has triggered a shift within his skeptical father, who has now jumped on board his son’s healing journey. 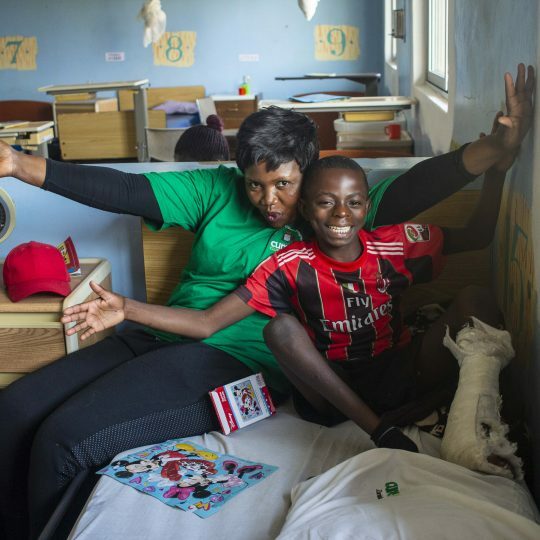 “When he arrived home after his first hospital visit with a cast on his right leg, I asked him,’ Obert how are you feeling?’ He said, ‘I am fine.’ I further asked him about his leg that has been operated on. Will you walk? He said ‘yes.’ I still was not convinced. I then said to myself, I will go with him next time he goes for a check,” recounts Anthony. 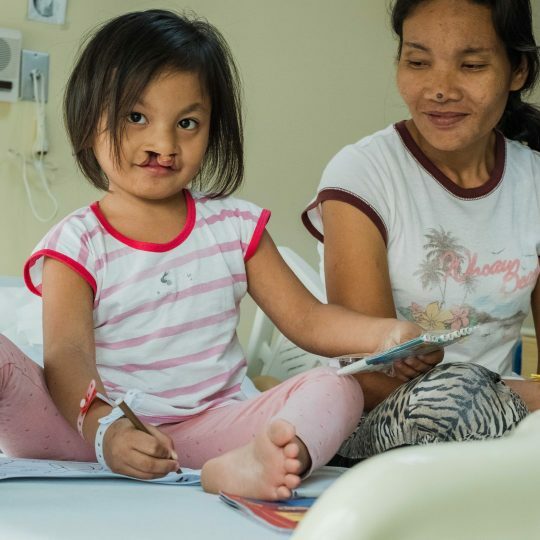 When the second follow-up appointment came, Anthony accompanied his son with one mission in mind: to prove to himself that his son’s leg was indeed getting healed. 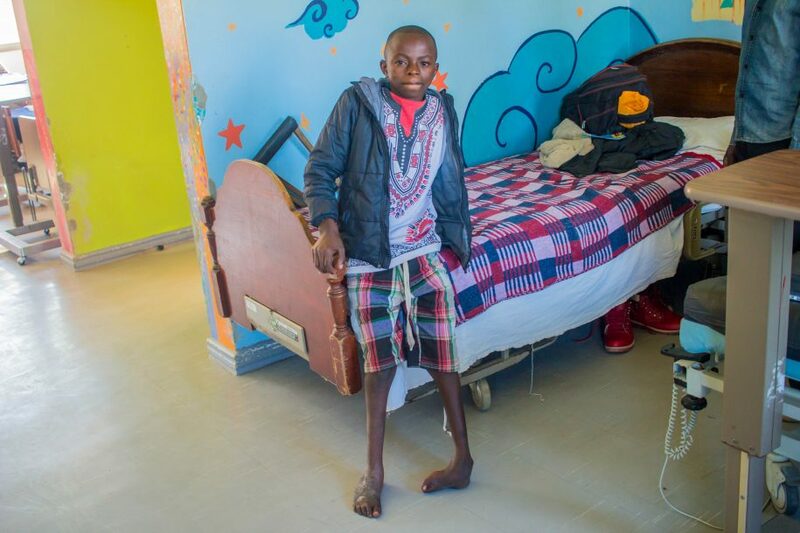 “We arrived the following day, and he was booked to go to the Outpatient Department (OPD) to be seen by his doctor and have his cast removed. I made sure I was near him on the bed when they started removing the cast. After they finished, they told him to stand. I looked at him in awe and believed that my boy would one day put on shoes and walk! From that moment on, I thanked God that indeed my child is about to walk!” Anthony could not keep his excitement to himself. During the daily afternoon devotions that our Spiritual Department conducts (with all parent and guardians present), he was moved to stand up, share his gratitude, and encourage his fellow parents and guardians waiting in the ward. Obert stands, and his father believes he will be healed. Anthony was counseled by a member of our spiritual team, Pastor Lubasi, during his time at CURE Zambia. 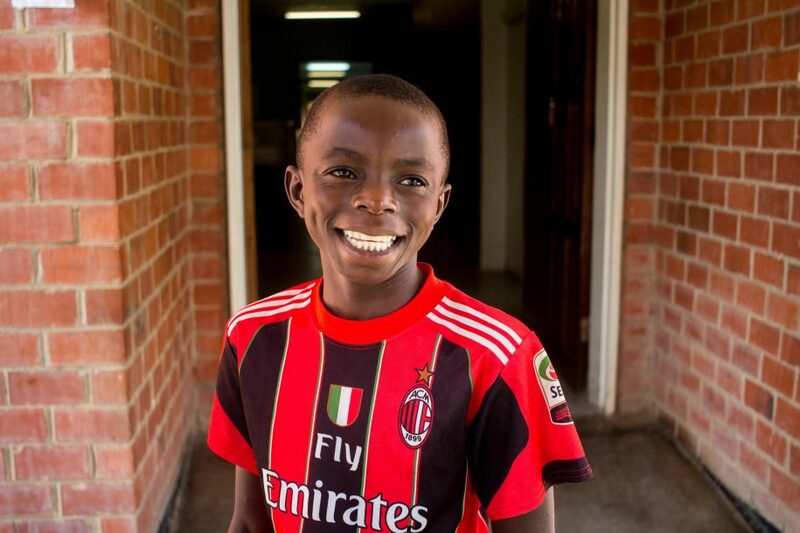 Anthony expressed that he was so grateful to CURE Zambia and that because of the transformation he witnessed in the life of his son, his faith has grown. Anthony also appreciated the endless encouragement from the staff at the hospital and has promised to spread the word about this hospital back home. He is very thankful to God for bringing his son to CURE Zambia! A better life awaits young Obert!